Rebates, at least in California, are offered by each utility company, although paid for by the state. Unfortunately, the rebate amounts authorized by the state were capped for each utility. The three major investor-owned utilities in California, Southern California Edison (SCE), Pacific Gas & Electric (PG&E), and San Diego Gas & Electric (SDG&E), have all reached their caps,* so no more solar rebates are currently available from them, unless California raises the caps in the future. A number of municipal utilities in California do still have some rebate money left. ** If you get your electricity from a municipal utility, please check with them directly. For families who own and live in affordable housing and who have household income under 80% of the median for their area, California's SASH (Single-family Affordable Solar Homes) Program provides up-front rebates to acquire solar. These rebates can be as high as making the entire PV system free to the homeowner. The program was originally scheduled to sunset in 2015, but has now been extended to 2021. For information, call GRID Alternatives at (866) 921-4696 or see GridAlternatives.org. The other source of solar financial-aid for low-income families is through the California Department of Community Services and Development’s Low-income Weatherization Program (LIWP). It "provides up-front rebates to qualifying residents, and can be used in tandem with SASH incentives for residents who qualify for both. The LIWP Program includes a direct incentive ($4.75/watt to $1.75/watt rebate, based on eligibility for other funding programs)." It also offers gap financing. For information, see the LIWP website. 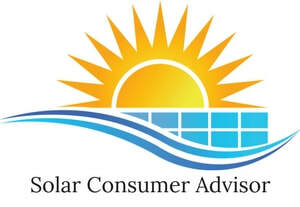 * “California Solar Initiative, http://www.cpuc.ca.gov/General.aspx?id=6043, last updated 3/18/17.